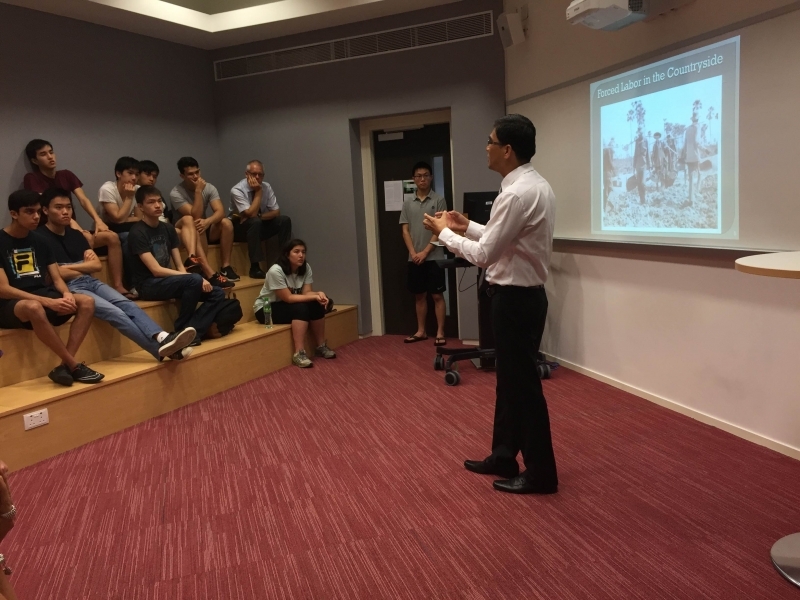 As our recent guest in Hong Kong, Khamboly Dy toured several schools and spoke to Year 9-13 students on the history of the Cambodian genocide. At each session, students had the opportunity to ask questions (addressing elements of the genocide, the ideology of the Khmer Rouge, post-genocide reconciliation, among others). Dr Khamboly Dy has worked for the Documentation Center of Cambodia (DC-Cam) where he coordinated the Genocide Education Project. He is the author of the first book for high school students in Cambodia about the Cambodian genocide entitled A History of Democratic Kampuchea. His work on this book was acknowledged by both national and international media, including the National Public Radio (NPR). D​r ​Dy recently received his PhD from the Division of Global Affairs at Rutgers, Newark.